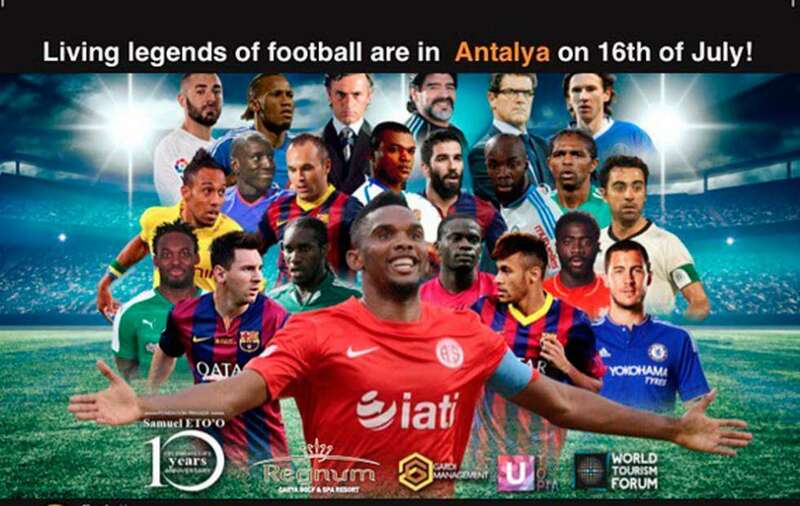 The charity football match organised by Samuel Eto’o was unceremoniously called off on Saturday following the attempted coup that rudely shocked the government of Turkey. It had been announced that superstars including Lionel Messi and Andres Iniesta are not in Antalya as planned for the game on Saturday night while the participation of Coach Diego Maradona and Neymar was also in major doubt. Many of the players who had agreed to take part would have needed to fly to the south of Turkey via Istanbul, the country’s largest city that was badly shaken in the early hours of Friday when a section of the military tried to take over Government leading to 90 deaths and a thousand wounded. The charity game had been backed by the world tourism forum and those invited to take part included Luis Suarez, Eden Hazard, Francesco Totti, Michael Essien, Xavi, Jay Jay Okocha, Pierre Emerick Aubameyang, Demba Ba and Didier Drogba, although unclear how many travelled.